Congo Is on the Brink of an Ebola Outbreak. Here’s How It Won’t Be Like the Last One. Ebola is Back. Here’s How This Outbreak is Different. It's time to put that Ebola vaccine to the test. For more than four decades, the rare but deadly virus has terrorized the world, with news of a new outbreak cropping up seemingly every few years. The largest of these outbreaks took place in West Africa from 2014 through 2016 when Ebola killed more people than in all previous outbreaks combined: 11,310. Now, the world is once again on the brink of another Ebola outbreak, this time in the Democratic Republic of the Congo (DRC). As of Monday, the World Health Organization (WHO) estimates there have been 41 cases and 20 deaths in this latest Ebola outbreak. They’ve traced the first case back to early April, and the DRC’s Ministry of Health (MoH) officially declared the situation an “outbreak” on May 8. 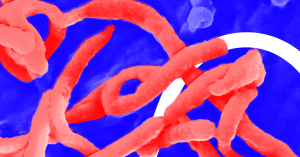 Here’s what you need to know about this latest Ebola threat. What makes this outbreak different from the one in 2014? Traditionally, health officials have largely relied on something called contact tracing to contain Ebola outbreaks. They work backwards from each infected person, figuring out everyone they might have come in contact with and monitoring those individuals for any sign at all of infection. Unfortunately, people can fall through the cracks. Someone sick with Ebola might not be able to provide a comprehensive list of everyone they’ve come in contact with. As the CDC notes, just one missed person can delay the end of an outbreak. This time though, health officials have another, far more proactive weapon in the fight against Ebola: an experimental vaccine known as Merck’s rVSV-ZEBOV, or V920. How “experimental” is this Ebola vaccine? It’s experimental in the sense that officials have never attempted to use it to prevent an outbreak. As far as clinical trials go, though, it looks like a pretty sure thing. In December 2016, WHO officials announced the results of a V920 test involving 12,000 individuals in Guinea, which was just in the end stages of the West Africa outbreak at the time of the trial. Of the nearly 6,000 individuals vaccinated during the course of the study, none contracted Ebola. Meanwhile, 23 people in the control group (who didn’t receive the vaccine) contracted the virus. This Ebola vaccine isn’t officially licensed by the U.S. Food and Drug Administration (FDA) yet, seemingly as a matter of the nation’s slow and complicated approval process. However, the DRC can use it under the FDA’s “compassionate use” protocol – essentially a way to grant patients access to drugs that are still in development. So, what’s the plan now? On May 16, the first batch of 4,000 Ebola vaccine doses arrived in the DRC capital of Kinshasa. More doses should follow, according to the WHO. In addition to healthcare workers, the first people to receive the vaccine will be those who’ve already been in contact with people infected with the virus, WHO Director-General Tedros Adhanom Ghebreyesus told STAT News. Using the tried-and-true contact tracing method, officials have identified 382 such people so far. Getting the Ebola vaccine to those who need it won’t be easy, though. Physically moving the vaccine from one region to another in the difficult terrain of the DRC is just one challenge. Keeping it stored at a temperature where it’s most effective — between -60 and -80 decrees Celsius (-76 and -112 degrees Fahrenheit) — is another. Still, while using V920 might not be simple, it has the potential to play a major role in preventing this Ebola outbreak from turning out like the one in West Africa just a couple of years back. And if the WHO and other organizations are able to overcome the logistical hurdles and prove that V920 is effective at preventing an outbreak from escalating, Ebola’s reign of terror over the world might finally come to an end.